The Remaster has carried out carefully with the digital original sources of the Master. An improvement has been realised in multiple details, besides the elimination of small noises, hisses, clicks and slight faults of recording. To assure the best level and sound quality Homodigitalis has used the K-14 and K-12 Metering System. 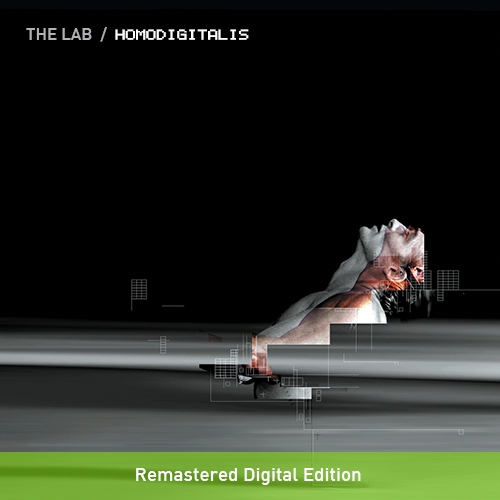 The result is a sound furthermore intensely, clearly, deeply and brightly, that we are sure it will allow to enjoy again Homodigitalis in major intensity, and to re-discover our idea of the digital human across the 3 parts. The conceptual Electronic Suite about the Digital Man. Superb production with majestic vocoders, landscapes, upper level synth sounds and complex rhythms. 19 tracks New HQ Remastered Edition. Future Music Review: " The Lab rubs the perfection with this conceptual orchestrated work in three movements. The Body presents the man with baroque arrangements and operistic voices mixed with great pads and fine arpeggios, whereas The Machine abounds in the percussions, the noises and the industrial landscapes (Engranajes) up to fusing both entities man/machine, rhythm/melodie in a majestic form with Simply You's vocoder. The Future reaches the process with gliders synths, genial riffs, ironic winks (Walking Heads) and human samples (Life Lab) placed in downtempo environments."